This is the first bulletin to take to the airwaves on the morning of D Day, June 6th, 1944 at 3:30AM Eastern War Time. NBC newsman Robert St. John made the announcement from the New York newsroom: "Men and women of the United States, this is a momentous hour in world history. 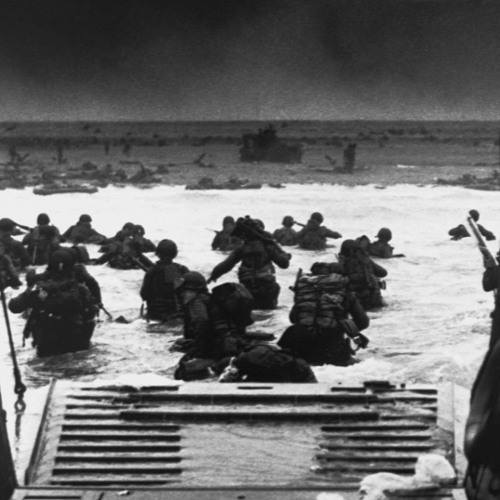 This is the invasion of Hitler's Europe—the zero hour."